Annual Survey and Analysis of 16 Million Monthly Users Reveals Top-Rated Building, Remodeling and Design Professionals THE WOODLANDS, HOUSTON, TEXAS, February 4, 2014 – Texas Home Exteriors of The Woodlands, Houston Texas has been awarded “Best Of Houzz” by Houzz, the leading platform for home remodeling and design. “The Siding Roofing and Window Contractor” was chosen by the more than 16 million monthly users that comprise the Houzz community. 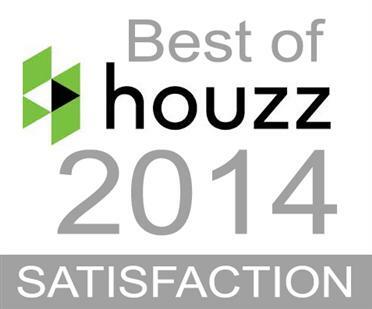 The Best Of Houzz award is given in two categories: Customer Satisfaction and Design. Customer Satisfaction honors are determined by a variety of factors, including the number and quality of client reviews a professional received in 2013. Design award winners’ work was the most popular among the more than 16 million monthly users on Houzz, known as “Houzzers,” who saved more than 230 million professional images of home interiors and exteriors to their personal ideabooks via the Houzz site, iPad/iPhone app and Android app. Winners will receive a “Best Of Houzz 2014” badge on their profiles, showing the Houzz community their commitment to excellence. These badges help homeowners identify popular and top-rated home professionals in every metro area on Houzz. Texas Home Exteriors is honored to receive this award and recognition from the Houzz community.About Houzz “Houzz provides homeowners with the most comprehensive view of home building, remodeling and design professionals, empowering them to find and hire the right professional to execute their vision,” said Liza Hausman, vice president of community for Houzz. “We’re delighted to recognize Texas Home Exteriors among our “Best Of” professionals for customer satisfaction as judged by our community of homeowners and design enthusiasts who are actively remodeling and decorating their homes.” With Houzz, homeowners can identify not only the top-rated professionals like Texas Home Exteriors, but also those whose work matches their own aspirations for their home. Homeowners can also evaluate professionals by contacting them directly on the Houzz platform, asking questions about their work and reviewing their responses to questions from others in the Houzz community. Learn more about Texas Home Exteriors on there website at http://www.TexasHomeExteriors.Net and be sure to follow them on Houzz http://www.houzz.com/pro/greg-kapitan/texas-home-exteriorsAbout Texas Home Exteriors Texas Home Exteriors and our owner Greg Kapitan “Kapitan The Siding Man” comes to you with over 30 years combined experience in the construction trade. Our expertise in the areas of Home Improvement and Energy-Efficiency has been demonstrated on numerous completed jobs and happy customers over the years throughout the greater Houston, Spring, The Woodlands metro areas of Texas. Texas Home Exteriors specializes in HardiPlank Siding, LP Smartside Siding, Vinyl Replacement Windows, Pergolas, Patio Covers and Roofing Shingle Options. Our products and services are the most Energy Efficient and innovative in the business. Our crews are experienced professionals who have all been hand-picked by Greg Kapitan himself, to ensure superior workmanship and customer satisfaction.” Houzz is the leading platform for home remodeling and design, providing people with everything they need to improve their homes from start to finish – online or from a mobile device. This entry was posted in Home Improvement, Home Siding, Houston Texas, Houzz, Roofing, Roofing Contractor, roofing contractors, Texas Home Exteriors, The Woodlands Texas, Windows and tagged Greg Kapitan, Houston, Houzz, Kapitan The Siding man, LP SmartSide, roofing contractor, Roofing Shingles, Siding, Texas, Texas Home Exteriors, The Woodlands, TX, windows. Bookmark the permalink. things, The site styl is ideal, the articles is actually great : D.
We are happy to be of assistance, be sure to subscribe to our blog so you don’t miss our future posts!